Play New Baby Hazel Games! Barbie is still so sleepy and wants to just hang in front of the tv and watch some really nice series. Can you help Barbie with picking out some nice morning princess pyjama outfits? Barbie goes fishing quite often and when she does that, she is the princess of fishermen wearing the most fashionable sport casual outfits. She is going fishing today and she wants you to accompany her. Help Barbie dress up in a girly chic attire, picking the clothes, shoes and accessories she will wear. The best dress up alternative would be a pair of pants, top and over top. This is one of the few times when dresses and skirts are a must not wear. Turn the cute blondie into a colorful fish princess dressing her up in a trendy purple loose blouse, black and red sport sweater or pink t-shirt combined with denim overall or trousers and flat booties. A fabulous dress up idea would be a camouflage princess look for a better nature blending. Pick a brown, khaki or army green top and accessorize it with camouflage pants, rubber boots and vest, jacket or hooded sweatshirt. 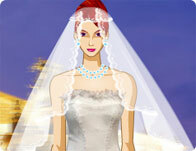 Have an astonishing time playing our hot new dress up game, ladies! Waking up from a deep slumber our enchanted princess found her room quite disenchanted. Help her find the hidden items so she can prepare for the big coronation ceremony! Dress up this lovely girl. Pick out the cutest ballet style and go dancing!